Hello! 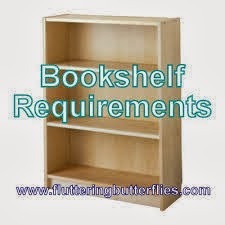 And welcome to another Bookshelf Requirements post. 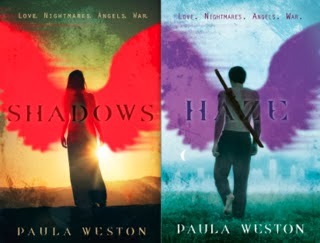 Today I have the great pleasure of introducing you to Paula Weston, the Australian author of the Rephraim series, of which the first two titles are Shadows and Haze. Haze was published by Indigo on the 3rd of October. Paula is here today not to talk about her own wonderful books, but of Melina Marchetta's and I absolutely love that she is! Melina Marchetta is one of my all-time favourite authors! Thanks for the chance to visit and chat about books. Ordinarily, I would have struggled to choose between Maggie Stiefvater and Melina Marchetta for this post. I’ve read everything both writers have published and hugely admire their work. But I see you covered Maggie very nicely in your inaugural Bookshelf Requirements post, so Melina it is! Melina’s novels are an auto-buy for me. Whether it’s her contemporary YA, fantasy YA or any other genre she’s drawn to, I’m in. Because no matter what the setting or genre, Melina always writes layered characters I care about. They get deep under my skin. They make me laugh, fret and cry, and stay with me long after I close their books. Melina’s prose is beautiful and her dialogue sharp. Her stories resonate with me on so many levels, not the least of which is the textured view she provides in her contemporary novels of Australia and Australians. This was Melina’s breakthrough novel back in 1992. I didn’t read it until 2008 (no excuses), although I saw and enjoyed the film when it first came out in 2000. It’s about discovering identity, appreciating cultural heritage and family ties, learning tough lessons about love, and recognising the realities and fallacies of class distinction. It’s also explores the consequences of choices – even those made with the best of intentions. Reading the book was, of course, a much richer experience and it made me hungry for more of Melina’s work. This is my favourite Melina Marchetta novel. It completely undid me. It’s bittersweet and heartbreaking, but also incredibly life affirming. It’s a beautiful story of family, friendship, redemption, forgiveness and hope. The characters were all compelling and I especially loved the dynamic between Taylor and Jonah. There's a breathtaking sense of place, cracking dialogue and a page-turning mystery about what's really going on. The story unfolds in rich layers - much like the characters. The reveals, when they come, are not so much bombshells as inevitable connections. And in the end, it's not the twists that are compelling, but the way the characters respond to them. 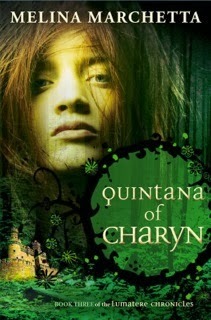 This book is set five years after Saving Francesca and focuses on Tom, a secondary character in the first novel. Tom is dealing – or, more to the point, not dealing – with the death of his favourite uncle and living with an aunt with her own emotional scars. The way grief spreads through this family and beyond is devastating and authentic. There are no easy fixes, but the story offers hope for healing and redemption. Yes, there were tears – but also tight writing, sharp dialogue and characters I didn’t want to let go of. I have so much love for this series. 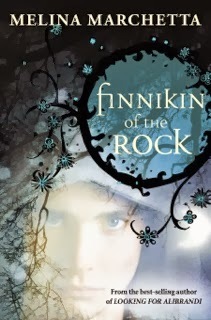 Finnikin of the Rock is one of the most well-crafted, beautifully-told stories I've ever read. The world building is meticulous. The characters remarkably complex and real. The plot and twists enthralling. And the story of the Lumatere people is so heartbreaking that when hope finally comes, it's impossible not to be caught up in the moment. Froi of the Exiles is a different, darker instalment, and – maybe because of that – is even more compelling and emotionally raw. Three years on from the end of the first novel, the recovering realm is struggling to rebuild after its years of exile and suffering. The scars run deep for the Lumaterans, and there are divisions between the exiles and those who were trapped all those years with enemy. So many threads come together in this brilliant final book. There are resolutions for every character I’d come to care deeply about, and all of those resolutions were hard-earned. Important relationships are on the line (on several levels), but I must admit the one I cared about most (at least early on) was Finn and Froi's. Their friendship was one of my favourite things in this series and I seriously fretted for them. Two of my all-time favourite literary couples also feature heavily in the Lumatere Chronicles. For me, what makes this series so exceptional are the characters and their relationships, and the way Melina manages to capture the best and worst of human nature. It's a story that, while set in a fantasy world, could easily be an analogy for any moment in human history when one group of people have de-humanised another. I know other well-written fantasy novels tackle themes of humanity, inhumanity, survival and hope. But it's not often you'll find this kind of mature approach in a YA series (although, honestly, the Lumatere Chronicles transcends the YA label on so many levels – as does all of Melina’s writing in my opinion). Thank you so much, Paula! Have you guys read books by Melina Marchetta? Would they be amongst your bookshelf requirements? Let Paula and I know in comments!